Depression is a serious condition that negatively impacts every aspect of our lives. Low self-esteem has always been a natural part of human development. As children, we feel inferior to the adults around us, and learn to seek approval through certain behaviors and actions. As adults, we continue to pursue validation from others, and begin to internalize negative thoughts, feelings, and events that we cannot control. Over time, negative emotions buildup and contribute to feelings of anxiety, worthlessness, and depression. Women are more vulnerable to depression than men because of a combination of hormonal, psychological, and social factors. In today’s society, women face intense external scrutiny and are held to impossibly high standards. Not only are women expected to have meaningful careers, they are also expected to raise healthy and well-rounded children, maintain a beautiful home, and care for their extended family. Social and cultural norms dictate that women master certain skills in order to gain the approval of others – women internalize these stereotypes, and base their value on the judgment of others. The good news is – depression is treatable, and recognizing and acknowledging the causes of depression is the first step in the healing process. Infertility can play a significant role in the onset depression. Most women are raised to believe that one day they will become mothers. Motherhood and femininity are closely intertwined, and there is a social expectation that all women will bear children. Even if women do not want to become mothers, this expectation can make them question themselves. Women who struggle with fertility will often feel inferior and unfeminine when compared to others, and these feelings can quickly escalate towards depression. Hormonal fluctuations during and after pregnancy can often contribute to depression. Additionally, after delivering a child the demands of new motherhood can feel overwhelming. Feelings of fear or anxiety are often compounded by guilt. Women who suffer from postpartum depression become trapped in a cycle of sadness – they feel depressed because they cannot live up to the high demands placed on them, and then feel guilty for having these feelings in the first place. At an early age, women are inundated with images of models on magazine covers – and these images imply that in order for them to feel beautiful their looks need to conform to a certain set of impossible standards. Women’s value in society is often dictated by their appearance, and can cause them to judge their own bodies harshly. These unfair judgments can leave them feeling worthless and depressed. Women are more likely to relive emotional tension and dwell on difficult situations. Women tend to internalize and ruminate over their negative emotions, which can cause them to experience heightened symptoms of depression. Women have many roles in society and balancing all of these societal expectations can leave them feeling overworked, under-appreciated, and stressed. Women are expected to lead fulfilling professional and personal lives – but finding a balance that lives up to the expectations of others is impossible. 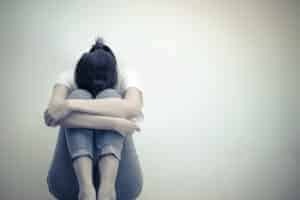 When women lose sight of their internal worth, and try and live up to the standards set by others, they can easily begin to experience feelings of worthlessness and depression.